When individuals participate in terrorism, Canadians expect their government to hold them accountable to the fullest extent of the law. The unfortunate reality is that Justin Trudeau is failing to do so. Approximately 60 Canadians have joined ISIS to fight our allies overseas and have returned back to Canada, yet only two have been changed by this Liberal government. These individuals are in direct violation of numerous statutes in the Criminal Code of Canada. They broke the law when they left to go fight with ISIS, and they broke the law when they joined a group that is in direct conflict with Canada. Yet, the Prime Minister has not laid charges on over 96% of these returning ISIS terrorists. This is wrong; they need to be prosecuted to the full extent of the law. To make matters worse, the Prime Minister has spent almost $3.5 million in order to pay for the reintegration of these ISIS terrorists into Canadian society. These taxpayer funded reintegration programs include poetry and podcast lessons for terrorists. Let us not forget that ISIS terrorists conducted one of the worst genocides the world has witnessed in the 21st century. They have no problem selling women and girls into sexual slavery. They have attempted to wipe out entire communities because of their political and religious beliefs. Ethnic cleansing, genocide, and mass atrocities are the hallmark of ISIS terrorists, and yet these are the people the Liberals want to reintegrate back into society. While the Prime Minister is spending millions of dollars trying to turn genocidal terrorists into regular Canadians, he is cutting the pay for ill and injured Canadian Armed Forces members. 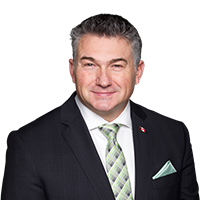 The Liberal government introduced a new policy that eliminates special allowances to members of the Canadian Armed Forces injured in the line of duty if they cannot return to duty in 180 days. Under the Liberals, if two Canadians leave for Iraq, one as a solider and one as terrorists, upon their return the soldier could see a pay cut while the terrorist will be provided new taxpayer funded programming. This is disgusting. Justin Trudeau’s Liberals have their priorities wrong. Instead of focusing on providing reintegration programs and support services to terrorists, they should be supporting our troops who bravely take the fight to these terrorists. A Conservative government will put our troops first and keep Canadians safe.